Love the creamy goodness of mashed potatoes but hate all the work? 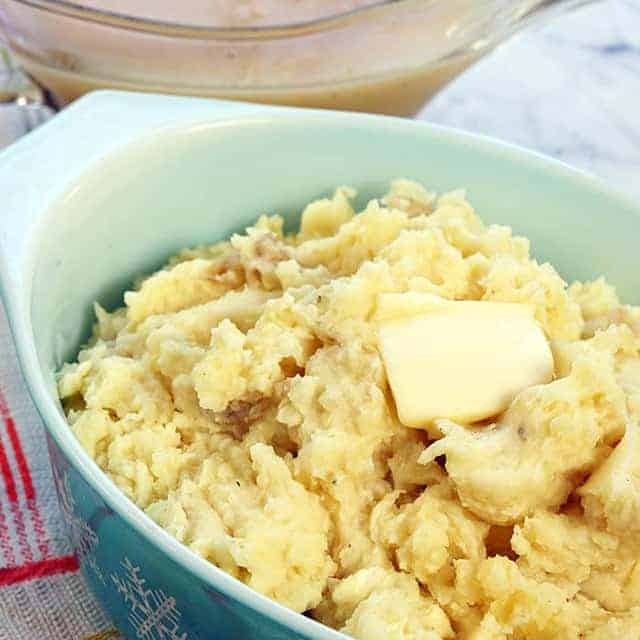 Southern-Style Instant Pot Mashed Potatoes with Homemade Gravy is the easiest and most delicious way to make yummy creamy potatoes that you will be proud to serve your family! If you’re like me, you enjoy homemade meals during the spring and summer months, but try to avoid heating up the house at all costs, right? 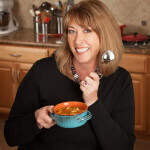 Hey it’s Deb stopping by again from Bowl Me Over and I wanted to share a delicious and easy recipe with you today! Instant Pot Mashed Potatoes and what makes them even better? The gravy is made right in the Instant Pot too – gotta love that right? One dish for cleanup and you don’t heat up the entire house to make a side dish! These mashed potatoes go fantastic with my fall off the bone Barbecued Pork Ribs – also made in the Instant Pot and finished off on the grill! 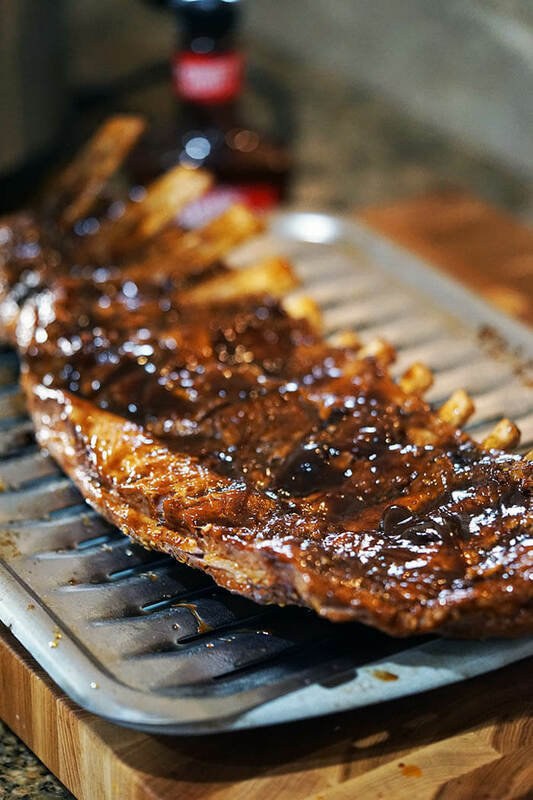 Grill until the sauce on the ribs is caramelized! How long do you cook the potatoes in the Instant Pot? How full can you fill the Instant Pot? 1 1/2 pounds of potatoes cook on the steam setting in just 12 minutes! Then with a quick release you’ll be ready to mash the potatoes as soon as the pressure is ready to release. Never fill the Instant Pot above the max fill line. If you’re cooking liquids it should never be above two thirds full. This is for safety to ensure there is plenty of space to allow the pressure cooker to do it’s work. I love how easy these are to make and I also love that the entire process doesn’t heat up your house. Living in Fresno with temperatures in the triple digits for weeks at a time, heating up the house is a real issue! When you use Yukon gold potatoes or baby red potatoes you don’t need to peel them! Just give them a hefty scrubbing and they are ready. My personal preference is Yukon gold potatoes because I like the creamy texture, but no reason to buy something special – use what you have on hand. Using pre-made stock as the base for steaming flavors the potatoes and the leftover liquid makes delicious gravy right in the Instant Pot! Add the potatoes to the pressure cooker. Secure the lid. Press the steam setting and set the timer to 12 minutes. While the potatoes are cooking mash together butter and flour completely. Return the liquid to the pressure cooker. Change setting to sauté. When the liquid is boiling, quickly whisk in the butter/flour mixture. Whisk together until the liquid begins to thicken and continue cooking for about three minutes. Done! The potatoes are creamy and delicious and using box stock makes a delicious gravy! Gotta love a simple meal! Don’t over mash them, this will cause the potatoes to become gummy. Adding warmed milk/butter also helps keep them from getting sticky! What if you get all the way to the end and your gravy has lumps, do you throw it out? Of course not! Just run it thru a sieve to remove the lumps OR tell everyone that’s the way you like it! 😀 Hey life’s too short to sweat the small details, right? Love the creamy goodness of mashed potatoes but hate all the work? 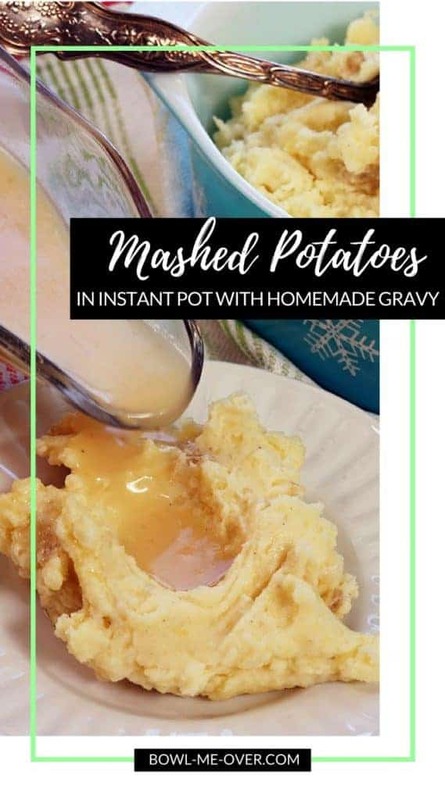 Pressure Cooker Mashed Potatoes with Homemade Gravy is the easiest and most delicious way to make yummy creamy potatoes that you will be proud to serve your family! While the potatoes are cooking mash together 2 tablespoon butter and 2 tablespoons flour. Make sure it’s completely creamy – no lumps! Taste and adjust seasoning in the gravy and the potatoes. Serve and enjoy! If you love this meal, I’m going to send you over to the blog for more terrific recipes!